Goodreads Synopsis: If high school is all about social status, Indigo Blackwood has it made. Sure, her quirky mom owns an occult shop, and a nerd just won’t stop trying to be her friend, but Indie is a popular cheerleader with a football-star boyfriend and a social circle powerful enough to ruin everyone at school. Who wouldn’t want to be her? 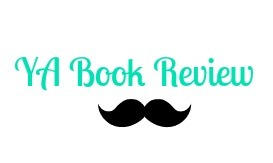 Hexed by Michelle Krys was such a fun and great book to read. 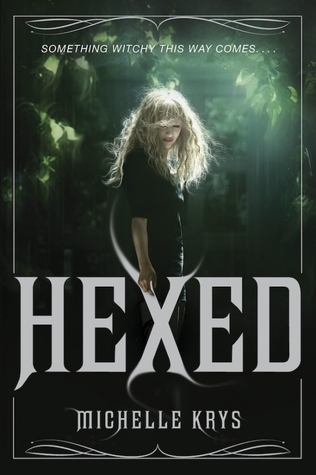 I was reminiscent of Rachel Hawkin’s Hex Hall series, but Hexed had its own spin on witches and magic. Hexed one of those fun, paranormal books I read this year and I recommend it a lot. In Hexed, we meet Indigo Blackwood and she always lived not so normal life. Her mom runs a “magic shop” and is so focused on guarding a special family Bible. When Indie, sees a man die right in front of her eyes, her whole life turns around. The action kicks up and we see the novel come into a full circle. Her mother disappears; she meets a duo of men with dangerous men, and Bishop. I love how Michelle Krys lightened up the YA, paranormal genre. We all need that light, fun book with some paranormal aspect and Hexed is just that. I love the character’s names and Indie was fun. 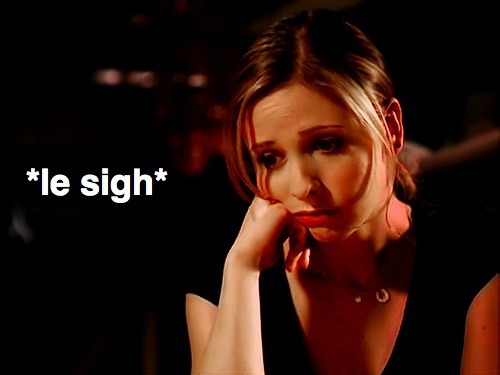 But at times she was so clueless; I wanted to roll my eyes over that. Like come one, use logic and your head Indie to find the clue out. While Hexed had some great things, it suffered a lot from its light and fluffiness’ that bogged down the book. I just felt like the book was a big cheat. Indie does all these things and in the end it just comes down to a disappointing ending. What was up that? Are you serious? And the plot was a mess. I thought Indie, Pagie, and Bishop kept going in circles and didn’t have any depth to the story. Beyond the surface, I noticed a lot more things that weren’t good. It was good, not disappointing, but maybe not as memorable. Give Hexed a try if you are in need of a light and fun YA paranormal read! Look out for this one coming in June! This sounds really good. I was hesitant about reading it simply because I saw a few not-so-favorable thoughts on it. But as the positive reviews are rolling in, I'm becoming more and more eager to get it. I'm so glad to see you enjoyed it! When I read Hexed, I needed a light read and I found it to be just what I needed. Great review Patrick! I also found this a bit fluffy and young. I stopped reading, but I may finish it and see what I think! I agree that the story was indeed a mess, everything was treated like a joke so I grew angry towards the book. The romance developed quite fast as well! UGH! It was so irritating…I wanted to DNF the book. There is always a time for light and fluffy. BUT if you aren't prepared for it, sometimes it can catch you off guard. I may still give this one a try.